“Eggs & Issues,” the Monterey County Business Council’s popular morning series, returns from its hiatus with an informative breakfast forum on “Developing & Refining Your China Strategy,” from 7:30 a.m.–9 a.m., Thursday, Sept. 24 at Bayonet & Blackhorse. Tickets are $20 in advance, $25 at door, with continental breakfast included. Make your reservation online now or email MCBC Executive Director Brian Turlington or call (831) 216-3000. Eggs & Issues is a gathering of interested persons from business, professions, government and the not-for-profit sector that are concerned about key issues affecting the economic health of Monterey County and are looking for solutions. 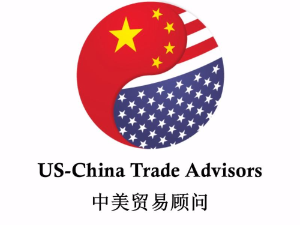 The presentation, by Ashley Beleny, partner and co-founder of U.S.-China Trade Advisors, is entitled “Developing & Refining Your China Strategy.” Among other things, Ashley will discuss importing and exporting compliance issues regarding China. In advance of that event, Beleny has requested that you take a moment to complete a brief 15-question survey. Even if you are unable to attend, we would appreciate your feedback. To find out about sponsorship opportunities, contact MCBC Executive Director Brian Turlington at (831) 216-3020 or via e-mail. Thank you to our sponsors PG&E and the Monterey Bay PTAC. Bayonet & Black Horse Grill, 1 McClure Way, Seaside.